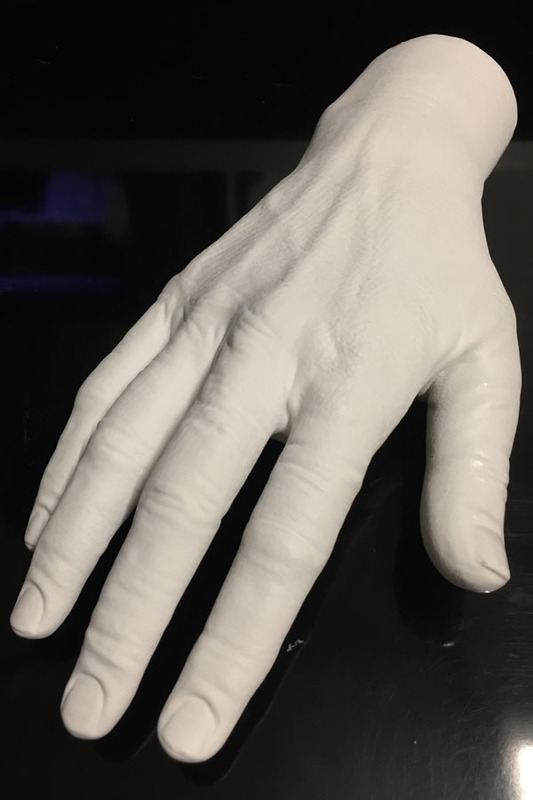 Hands: A wonderful 3D print with Fun To Do resins by Simone Nencini. Simone Nencini is one of those people with whom, for the background we share, we feel a profound affinity. We identify ourselves in his experience as a digital artisan who loves to study and experiment with technology, experiencing it first-hand. Computer expert, with good electronics skills, he began to explore the world of 3D printing at the dawn of this new era, purchasing a first filament 3D printer Makerbot Replicator 2 from the United States in 2012. Over time he acquires knowledge about materials which can be used and about necessary changes to make a consumer 3D printer reliable enough to be used for professional use. Later, he created his own large filament 3D printer from scratch, which he called 3DBigMama, with a 610x640x520 mm printing bed duitable for prototyping 1:1 scale chairs. The machine is used almost 24h / 24h without major problems. Working as an independent 3D printing service, he got other filament 3D printers, of course modified in both hardware and firmware to make prototypes, finished objects and series for "bridge productions". The latest effort by Simone was the creation of a big size resin 3D printer: the Top- down DLPMama (Top-down means that projection happens from above like our historical Lumipocket and LumiForge 3D printers, but less portable!) with a printing volume of 270x150x500mm. With this printer and Fun To Do Industrial Blend Unpigmented resin, a versatile, robust and fast to polymerize material, he has created the work which he is sharing with us: Mani or hands. The model was prepared for printing based on high-resolution scans provided by the client himself: a French art gallery. The files have been modified, hollowing the models and generating a wall thickness of 4 mm, to avoid resin deformation during printing. 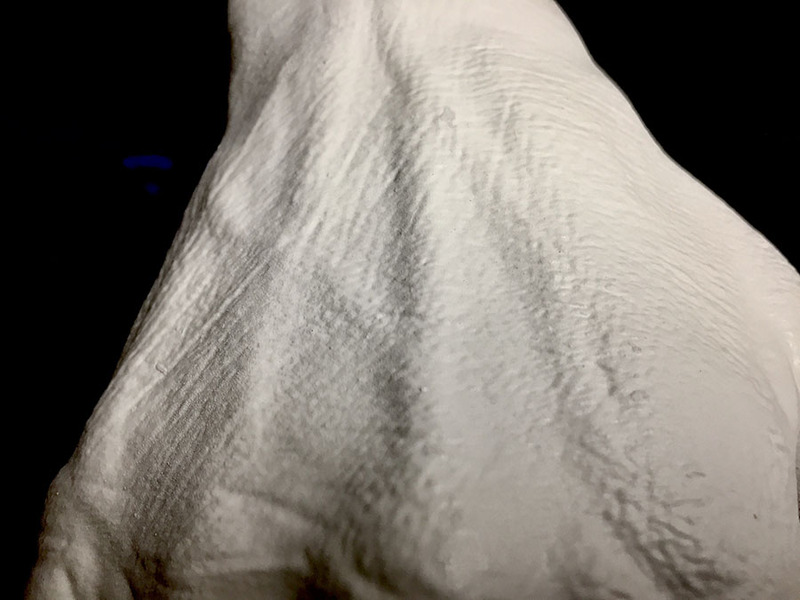 The hands were printed simultaneously with a Z resolution of 100 microns, in about 19 hours. The lower part was drilled to allow resin and water leakage once the 3d printing was finished. And here's the trick! The resin used, Fun To Do Industrial Unpigmented, is in fact floating on about 100 liters of saline solution, so it is possible to print large objects with only 2-3 liters of resin in the container. 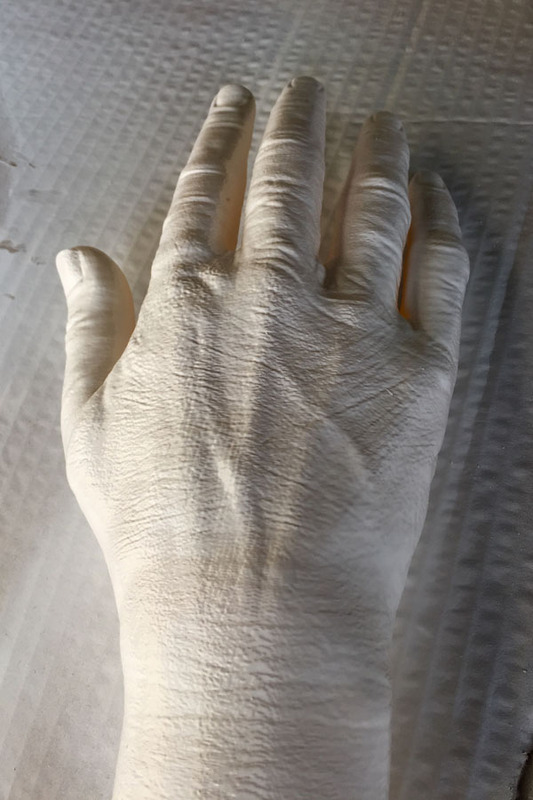 Once 3D printed, the hands were washed for about 2-3 minutes in isopropyl alcohol (IPA) and exposed to UV lamps for the time necessary for final curing. They were finally painted with acrylic spray in the required color. The use of Fun To Do Industrial Blend resin on the mammoth DLPMama 3D printer is a precise choice dictated by the characteristics of this type of 3D printing technology. to have the lowest possible viscosity. Since each layer printing time is not given by the curing time (above) only, but must be calculated adding time for printing bed descent and rise, followed by a waiting time for resin leveling. The more liquid the resin, the shorter the printing time. The viscosity also decreases with temperature, therefore the 3D printing takes place at a temperature of 45 degrees, in which only the resin is heated, while the saline solution remains cold. colorless, if possible, to avoid heavy pigments falling into the underlying water layer. Fun To Do IB Unpigmented meets these needs very well. "I tried several resins, even very expensive ones" Simone tells us, "but FunToDo is the only one that has no curing problems with normal DLP projectors and has curing times that allow you to print large objects very quickly. To give an example, "he adds," I could have printed the Hands at 200 micron resolution in 4-5 hours by forcing on curing time. " An interesting and well done project, thanks to Simone Nencini for sharing it with us! Other works by Simone Nencini with his DLPMama 3D printer and Fun To Do Industrial Blend Unpigmented resin.